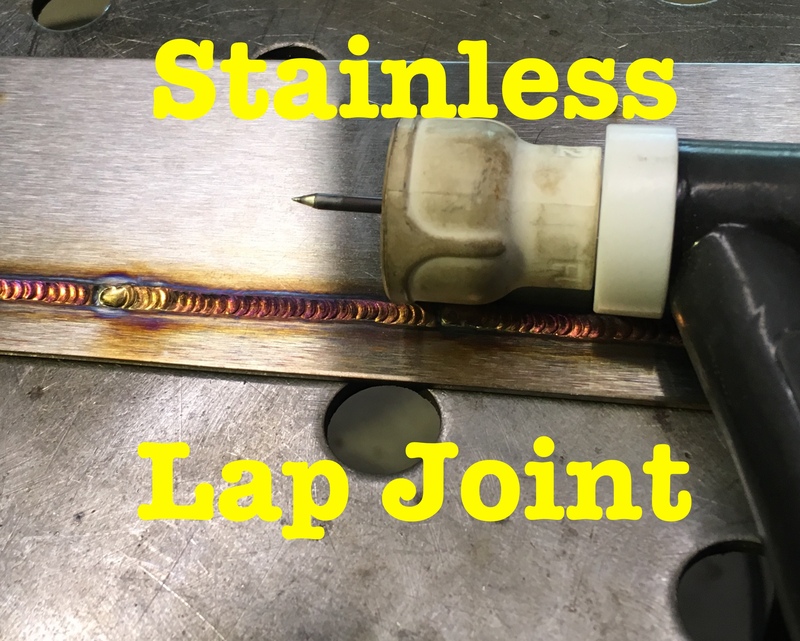 This page is about provide a few quick tips for tig welding stainless steel lap joints in 16 ga thickness sheet metal. 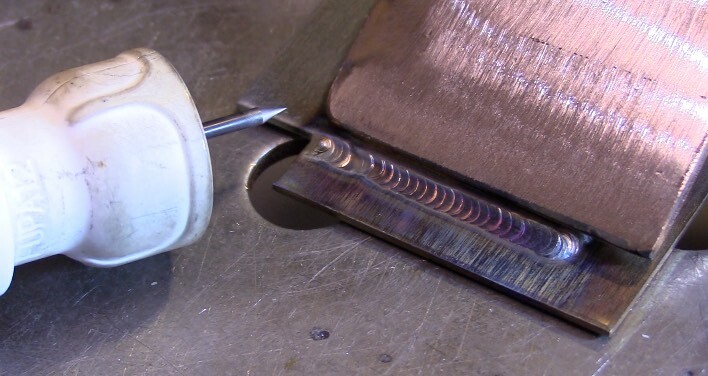 these tips and techniques will pretty much also work for welding stainless that is thinner than 16ga. First things first. make sure the stainless is clean before welding. The pieces I used had a protective peel coat on them and when I removed it, I noticed a bit of leftover adhesive. A wipe with acetone is really all that was needed to have the stainless pieces ready for welding. Sometimes more cleaning is needed...for example, when stainless pieces are laser or plasma cut, there is an oxidized layer that is best removed with an abrasive disc or flap disc. Even water jet cuts weld better when cleaned. There is a rule of thumb for Tig welding sheet metal that says approximately one amp per one thousandths of thickness ( up to around .125") will get you in the ball park for carbon steel. But stainless requires less amperage than carbon steel. Stainless steel requires about 2/3 the amperage as compared to carbon steel. 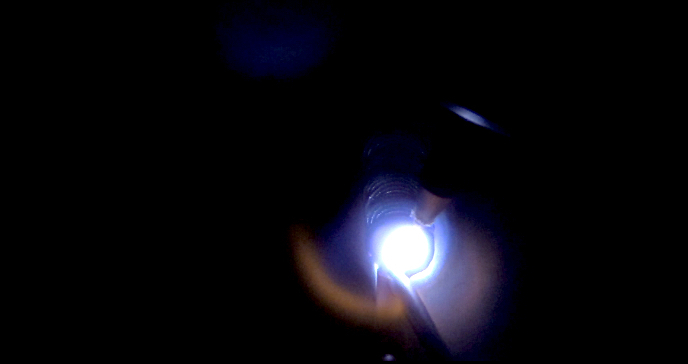 The thickness used in the video 63 thousandths. But only around 50 amps were needed to tig weld this stainless lap joint. the arc length should be less than the diameter of the tungsten electrode used. A tight arc means a more pinpointed arc and it is really important to be able to pinpoint the arc on thin stainless lap joints. This was 16ga 304L stainless so I used .045" ER308L filler wire. as a rule of thumb, using one size smaller filler wire on stainless sheet metal lets you run a smaller puddle with less amperage. for a fillet weld lap joint, the goal is to get adequate fusion without melting all the way thru. There are those that believe its always best to use the smallest electrode possible for tig welding. They may have a point but I dont like constantly switching electrodes if my 3/32" will do the job just fine...so I used a 3/32" 2% lanthanated electrode sharpened to a 30 deg taper for this video. A 1/16" electrode would have easily done the job since I didnt go over 50 amps. Cup size can be a big difference in the discoloration of a stainless steel weld. Chill blocks can also make a big difference. For this weld, I used a Ceramic 12 furick cup and it did a great job of shielding without using any chill blocks.